MOSCOW, RUSSIA - DECEMBER 31, 2016: People on a merry-go-round in Tverskaya Street in central Moscow during the Puteshestviye v Rozhdestvo (Journey to Christmas) Festival. Moscou, Russie. 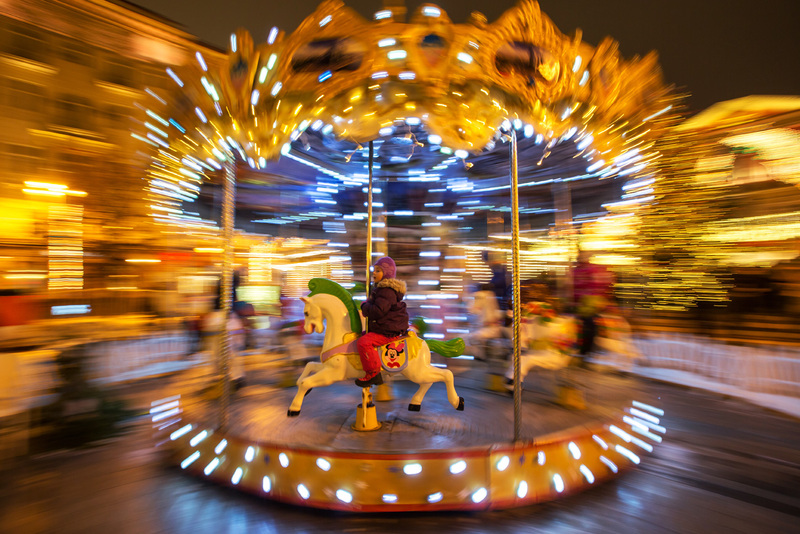 Enfant sur un carrousel.